My church will be starting a campaign in the next couple weeks going through Bill Hybels‘ Just Walk Across the Room. I started reading it this morning and was once again reminded that I am a sucker for stories of changed lives. The youth group I went to in high school had the slogan that God is in the business of changing lives, and that has penetrated my view of God ever since. 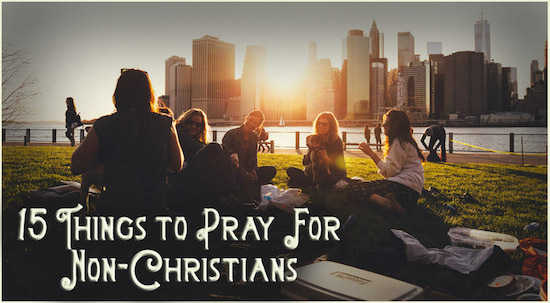 With all of this in mind, I wanted to provide a resource on what specific things to pray when praying for the lost or non-Christians. I received this list many years ago as a handout, if any knows the source of the information please send me the reference so that I can give credit to them. ← What Do You Think Revival Will Look Like? Exactly what I needed to remember as I am praying for someone I once thought was a Christian, but very likely never was. That is a challenging thought. Ultimately only God knows the heart, but it is sad when series of events make us doubt what we once thought true of someone. If you once thought this person was a Christian than more than likely they are familiar with some of the Bible. 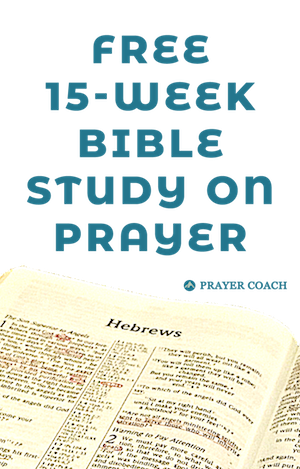 #4 above can be something to camp out on as you ask God to bring back to this person’s mind verse of Scripture that they have known. I have prayed you and this person. Remember that God wants repentance for this person more than you do. 2 Peter 3:9. Great page you are running there. And many thanks for posting this. Thank you for this, sometimes I actually run out of things to ask for when praying for unsaved relations & friends. Thank you.